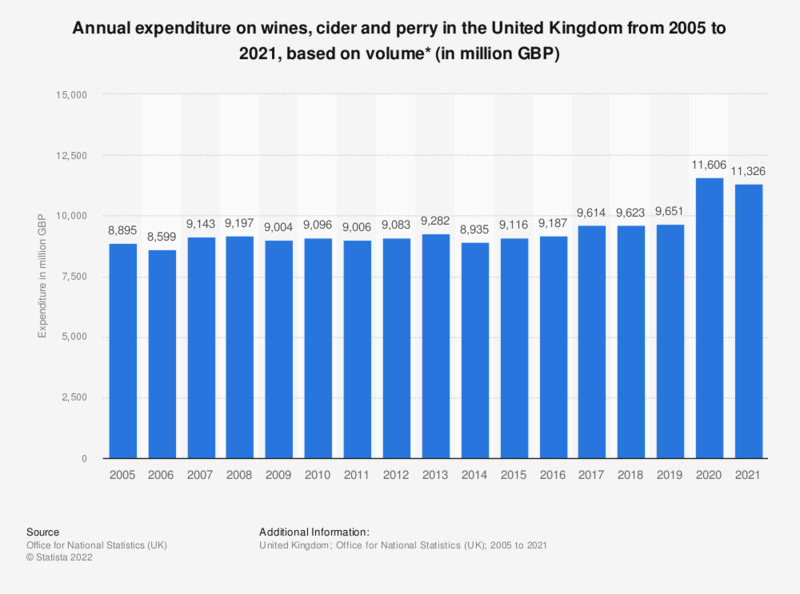 This statistic shows the total annual expenditure on wines, cider and perry purchases in the United Kingdom from 2005 to 2017, based on volume. In 2017, UK households purchased approximately 9 billion British pounds worth of wines, cider and perry, showing a gradual annual increase since 2013. Everything On "Cider market in the United Kingdom (UK)" in One Document: Edited and Divided into Handy Chapters. Including Detailed References. Statistics on "Cider market in the United Kingdom (UK)"